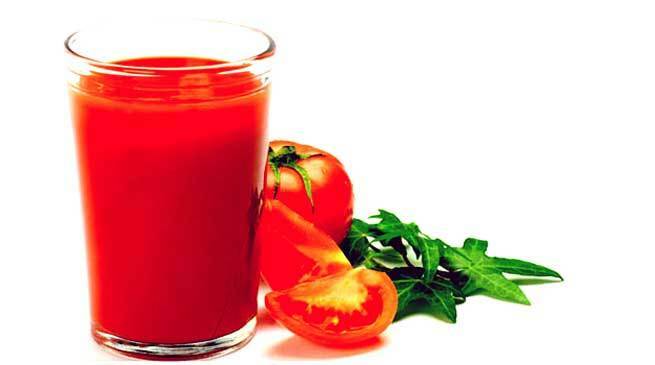 Health experts says that tomato juice is useful to reduce body fat and acts against cancer. According to the research carried out by Taiwan University, health experts say that excessive body fat starts melting due to tomato juice. As per research, overweight women were given 250 ml of tomato juice daily for two months. An extremely strange result was observed when the weight of these women’s were reduced. During the beginning and end of research the blood samples of these women were taken and it was found that cholesterol level of these women were reduced. Also, a new product Lysonin having anti cancer quality was increased in blood samples. According to a researcher of Indian origin from the University of Portsmouth in London, a chemical substance is found in tomato which stops the cancerous cells found in prostate cancer from proliferating. According to the life sciences report of Won Jin Ho, a medical resident of Ohio, it came into light that women who have more Lycopene in their diet have maintain the level of Lycopene in the body . Applying a mixture of tomato flesh with raw milk and lemon Juice on the face makes it glowing with radiance. Daily use of tomato is beneficial for eyes, constipation, skin diseases and is also good for in diabetic patients. Eating tomatoes increases the body’s resistance against diseases. The digestion system improves by the use of tomato. It acts as antacid because it contains citric acid and Malic Acid. Tomato is useful for Diabetes and heart diseases. Calories are less in tomatoes therefore it can be used as a healthy ingredient in salad. Daily use of tomatoes also helps in cleaning the gut. The use tomato is beneficial during cough. Eating a ripe tomato early in morning before rinsing your mouth is beneficial for health. Consuming tomatoes with black pepper in empty stomach early in the morning is beneficial for intestinal worms.